The Mercer County District Library Friends of the Library-Celina was formed at a meeting in the library, February 16, 2000. The Friends group was established to help promote and supplement the library programs and services, through moneymaking projects and sponsoring Ohio authors’ visits to the community. Since its formation, the Friends have worked with the library at the book sale held annually during the Celina Lake Festival. In 2005, the Friends of the Library Bookstore was opened. The bookstore is located just north of the library on Main Street and is open on the first Saturday of the month from 9:00 am-1: 00 pm. Donations of gently used books and book-related items are always welcome and be dropped off at the library during regular business hours. Money from these ventures has been used to fund the library’s summer reading programs, the various author visits, and other library events. The Friends of the Library-Celina sponsor author programs each fall. The first author program was held September 28, 2000 featuring Chris Woodyard, author of the Haunted Ohio series. Since that time the Friends has hosted several Ohio authors including: Rich Stein, Karen Harper, Linda Stanek, Paul Gaus, and John Beck. Also, three one man shows have been presented, featuring Ohioan Bill Harnett as Mark Twain and President Harry S. Truman and Pete Raymond as Abraham Lincoln. Pat Nekola dubbed “The Chocolate Lady” has also been popular with her recipes and cooking samples for the tasting. Current officers are: President: Jean Giesige, Vice-President: Jim Scheer, Secretary: Jean Shaw, and Treasurer: Connie Pifer. Meetings are held quarterly the second Wednesdays of March, June, September, December at 6:30 pm at the Mercer County District Library. Friends meetings are held several times a year and new members are always welcome. For more information, contact Jean Shaw at 419-586-4442 or by email jean@mercerlibrary.org. The Mercer County District Library-Celina holds an annual book sale during Celina’s Lake Festival. 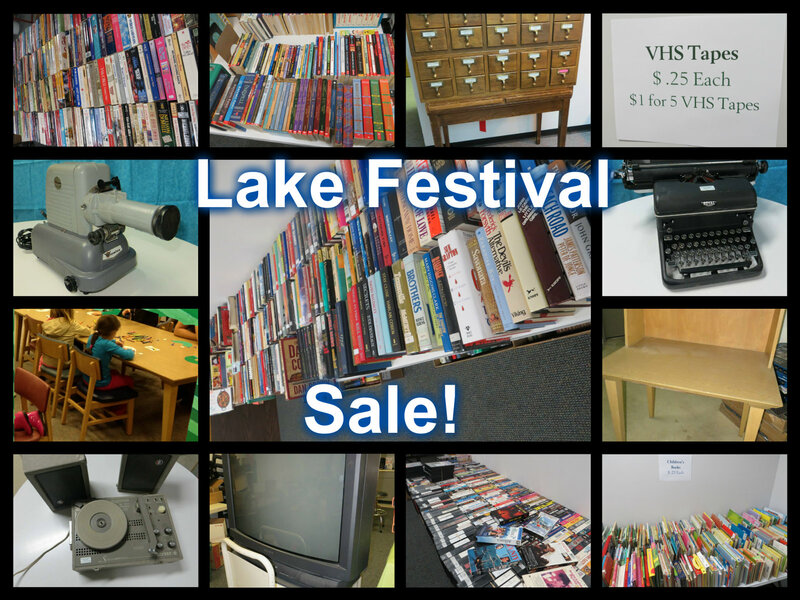 The sale is Friday & Saturday of the festival and offers a large assortment of gently used books, magazines, dvds as well as surplus furniture and equipment. Donations of gently used books and book-related items are always welcome and can be dropped off at the library during regular business hours. The Granville Twp. Branch Library Promoters Association is a non-profit organization dedicated to helping the Library make information and knowledge accessible to the communities it serves. The Friends purchases special library materials and equipment, and sponsors numerous programs throughout the year. Funds are generated by donations and gifts to the library. The Marion Twp. Branch Library Association is a non-profit organization dedicated to helping the Library make information and knowledge accessible to the communities it serves. The Friends purchases special library materials and equipment, and sponsors numerous programs throughout the year. Funds are generated by donations and gifts to the library.